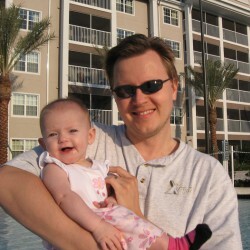 Jamie Beu, owner and co-author (with his wife) of CatholicFamily.info, is a "cradle Catholic", devoted husband, and father of two girls. He is a regular contributor to his parish newsletter, as well as an impassioned defender of the faith who is able to both support and challenge others as necessary -- all in an effort to build-up Christ's Kingdom on Earth. To this end, he does a lot of reading - not just of religious books (for education and research), but also of secular books, both to decompress as well as to keep a finger on the pulse of pop culture (the better to relate to others, as well as to help restore the culture).